One of the Triad's only full service suppliers and installers, we are able to not only sell and install your counters and backsplashes, but to also fully guide you through and manage the whole process. 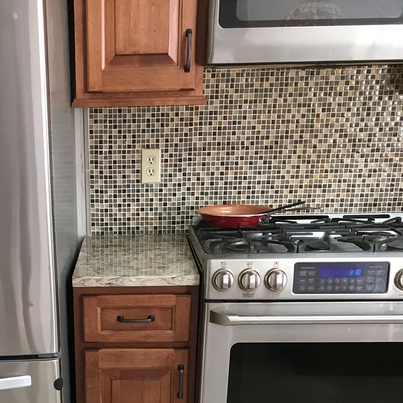 Depending on the scope of your project—which could be as simple as installing a countertop, or as involved as a complete renovation—we will utilize our own in-house installers in conjunction with any needed subcontractors. Over our 54 years in business, we have assembled a team of high-quality, high-trust relationships with the best electrical, plumbing, and trade contractors in the business. We invite you to come out to our showroom to explore the many possibilities for your project. Our in-house tile designer and showroom consultant will be happy to assist you in starting the process!